For jungle safari, four wheel jeep is easy to go deep into the park, viewing some of the rare species of flora and fauna. You can also go on foot in to the park escorted by your experience guide who will interpret to you the concealed secrets of the jungle. 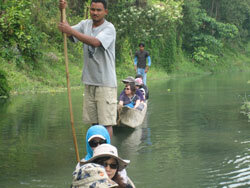 Another activity in the park is the boat/canoe trip down the Rapti and the Narayani Rivers. This is one of the most serene ways to explore the area as float downstream with the river’s flow. 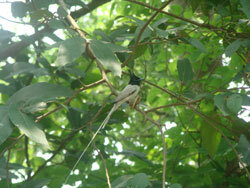 During Jungle safari and canoe trip, you have a great opportunity to see many species of birds including water fowl, Brahminy ducks, pintails, bar-headed geese, cormorants, woodpeckers, hornbills, peacocks, peahens, floricans, red-headed trogons and many others. 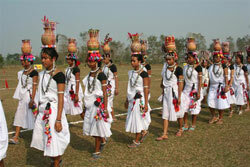 Throughout the periphery of national park Tharu community is settled, and during your visit, you can observe the Tharu community, their culture, living style and many more traditional customs with Tharu cultural show and Tharu museum. 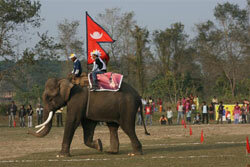 Elephant Breeding Center (EBC) was established in 1985 at Chitwan National Park and is the only EBC in Nepal. A breeding center for increasing number of elephants but not having compartment for mating with wild bull. Well trained and appropriate number of staff should be provided and an Elephant Camps Service should be created separately for promoting them. The World Elephant Polo Association (WEPA) was formed in 1982 at Tiger Tops Jungle Lodge in the Chitwan National Park in south west Nepal . The first games were played on a grass airfield in Meghauly which is located just on the edge of the National Park. The co-founders, James Manclark, a Scottish landowner and former Olympic tobogganer and Jim Edwards, owner of Tiger Tops Jungle Lodge and Chairman of the Tiger Mountain Group, came up with the idea in a bar in St. Moritz, Switzerland, where they are both members of the Cresta Club. Elephant polo was first played in India around the turn of the 20th century, by members of the Maharaja’s Harem (Zenena) – to keep them busy. WEPA is the first paramount organization in the modern times to host and create elephant polo as a game with organized competitions. The first games were played with a soccer ball, but after finding that the elephants like to smash the balls, the soccer ball was replaced with a standard polo ball. The sticks are made of bamboo and have a standard polo mallet on the end. The length of the stick depends on the size of the elephant - anywhere from 5 to 12 feet.